Wildlife Conservation - Pacific White Sided Dolphin, British Columbia. 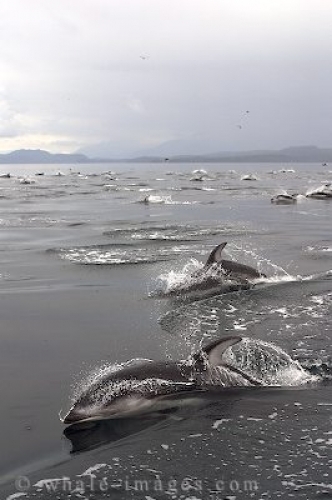 Although the Pacific White Sided Dolphin is among the most abundant cetacean in the waters of British Columbia, Canada, wildlife conservation is still taken seriously in these parts. The marine environment has such a fine balance of stability, and although the pacific white sided dolphin's main predators are killer whales and sharks, humans are also listed as predators and therefore wildlife conservation should extend to these marine mammals.